Sundays were deadly dull in the 1930s, according to my father Bob Skinner. 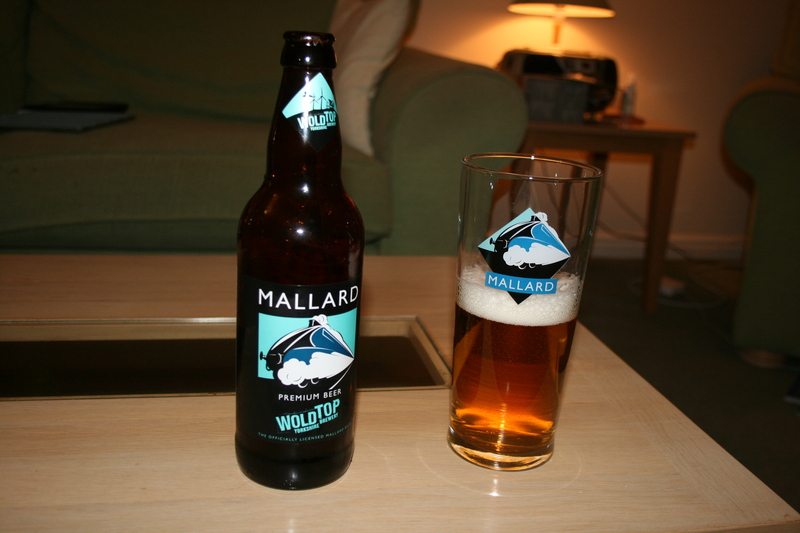 Yet one Sunday afternoon in 1938, a beautiful blue steam engine called Mallard set a world speed record that stands to this day. 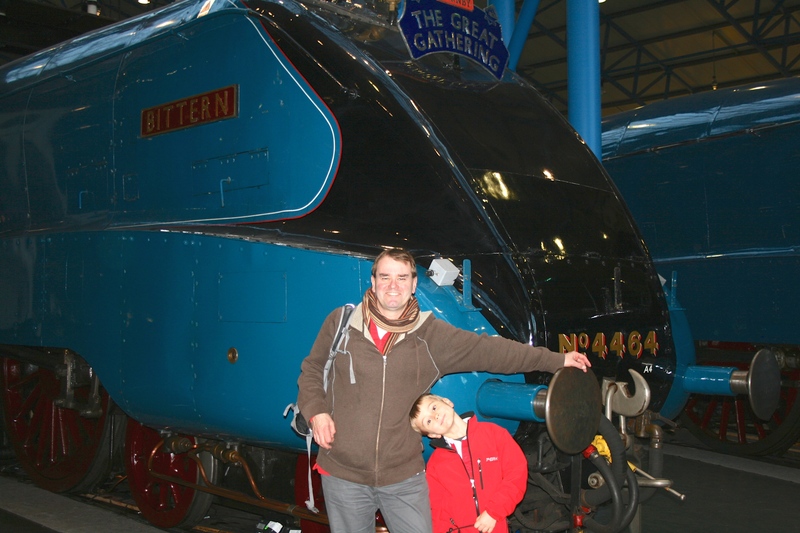 This week, the National Railway Museum in York has marked the 75th anniversary of that exploit by reuniting Mallard with its five surviving sister A4 engines: Bittern, Union of South Africa, Sir Nigel Gresley, Dominion of Canada and Dwight D Eisenhower. The A4s are arguably the most beautiful railway engines ever built. Yet they also represented a dramatic move towards high speed train services by a company that was desperately short of money. The LNER was badly hit by the collapse of coal traffic during the Great Depression, but was determined to improve its express services in competition with its great rival, the LMS west coast railway. Back to 2013. Mallard’s sister A4 Bittern set a speed record for a preserved steam record this summer: 92mph. That’s quite a feat for a 76 year old engine. Bittern has been given special dispensation to exceed the 75mph speed limit for steam trains on the national rail system. 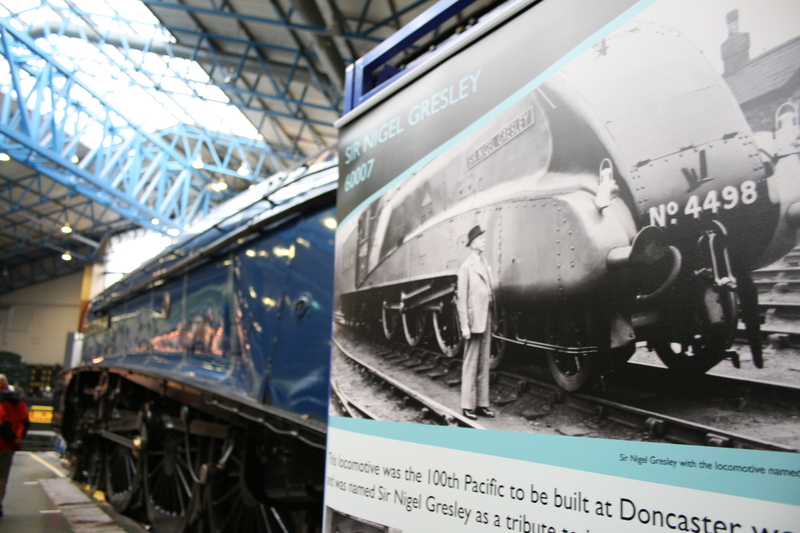 A fitting tribute to the A4s and their creator, LNER chief mechanical engineer Sir Nigel Gresley. 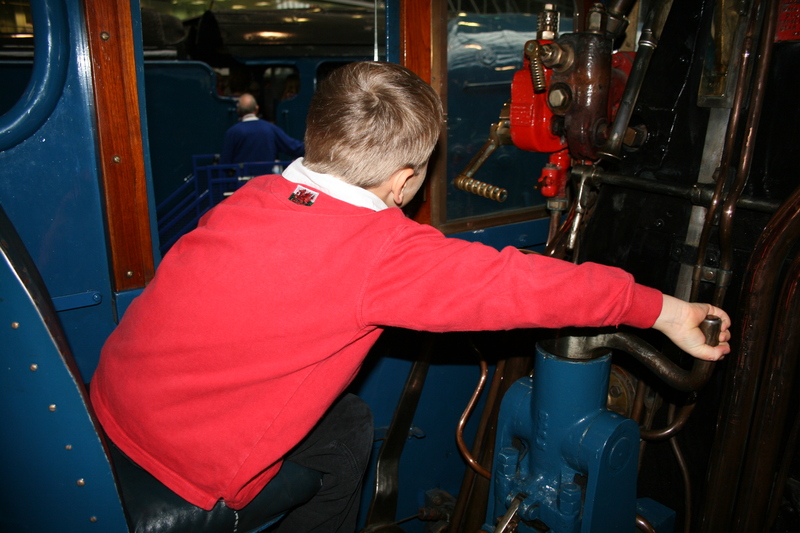 The A4 great gathering is a triumph for the National Railway Museum. Former director Steve Davies had the idea. Canada’s Exporail rail museum and America’s National Railroad Museum in Wisconsin made possible the repatriation of A4s Dominion of Canada and Dwight D Eisenhower. Moveright International brought the engines home free of charge. The owners of Union of South Africa, Bittern and Sir Nigel Gresley added the working A4s to the mix. And Hornby sponsored the entire event. Thanks to them all, entry to this extraordinary event was entirely free. I’ll end with a photo showing three Sir Nigel Gresleys: a sign showing the man himself with his 100th pacific, A4 4489 in 1937, alongside the engine today, in British Railways blue as 60007.